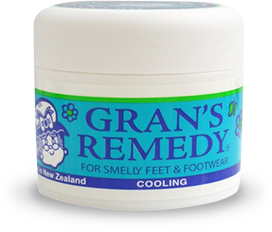 Effective treatment for smelly feet and footwear. Bacteria thrive in the dark, damp places inside sweaty shoes and they feast on your feet – eating dead skin cells and oils from your skin. And they get rid of waste in the form of organic acids. It’s those organic acids that smell bad. 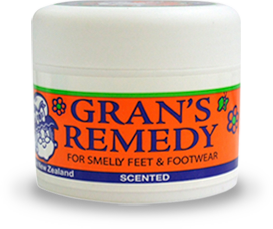 Gran’s Remedy is a proven way of stopping bacteria buildup. It leaves both your shoes and feet smelling fresh. 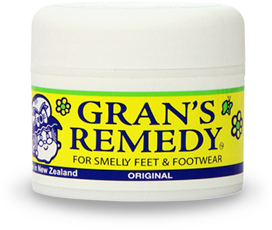 Contact the team at Gran’s Remedy if you have any queries or feedback. We love to hear from you!